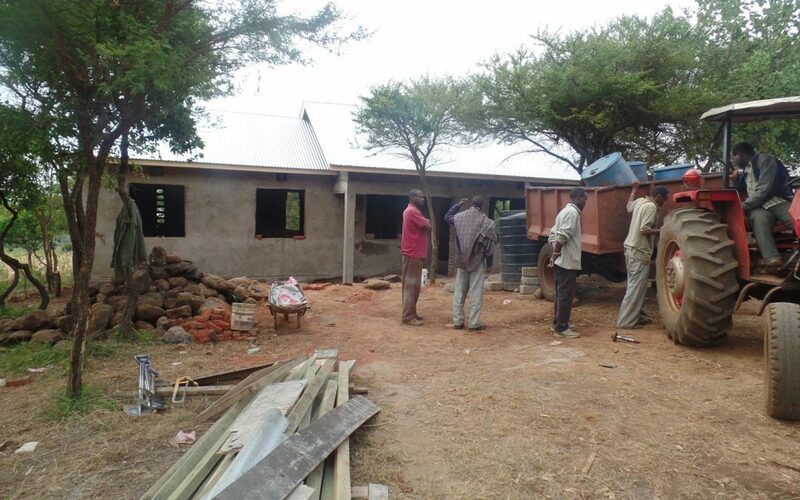 Almost done… New teacher house in Marar will help the Marar primary school a lot! Housing and transport of teachers was a major bottleneck and this will alleviate it massively. Sometimes people wonder why we would invest in a teacher home, what does that have to do with education of children? The simple truth is that the quality of the education of the children depends to a very large extent on the quality of the teaching, and absenteeism of teachers is a real problem in many remote villages. If there is no reasonable housing available near the school, teachers will need to live somewhere else and only the travel itself can already be very challenging. In our view it is therefore essential to have decent teacher houses as part of the overall education improvement program. Thanks donors for your support!